Good location, Other than clean and tidy, plenty of towels. Ideal for a group booking. Rooms are great for groups heating to the races and are in an ideal location. Spoke to our host Vicky and found her to be very helpful & pleasant - Vicky even contacted us on the day to check we had found the apartment ok. Instructions issued to us on our to enter the apartment were perfect. Lock in a great price for St Georges Apartments - rated 9.1 by recent guests. 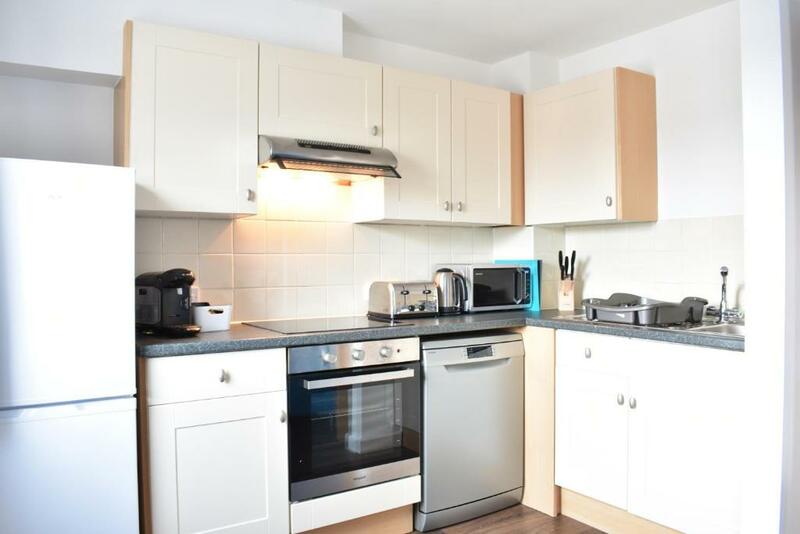 One of our top picks in Cheltenham.Located within 1.2 miles of Cheltenham Town Hall and 2.2 miles of University of Gloucestershire in Cheltenham, St Georges Apartments features accommodation with a kitchen. Complimentary WiFi is provided. Offering city views, all units come with a coffee machine, a flat-screen TV, ironing facilities and a living room. Some units feature a seating area and/or a patio. The nearest airport is Gloucestershire Airport, 5 miles from the property. St Georges Apartments has been welcoming Booking.com guests since 26 Nov 2017. 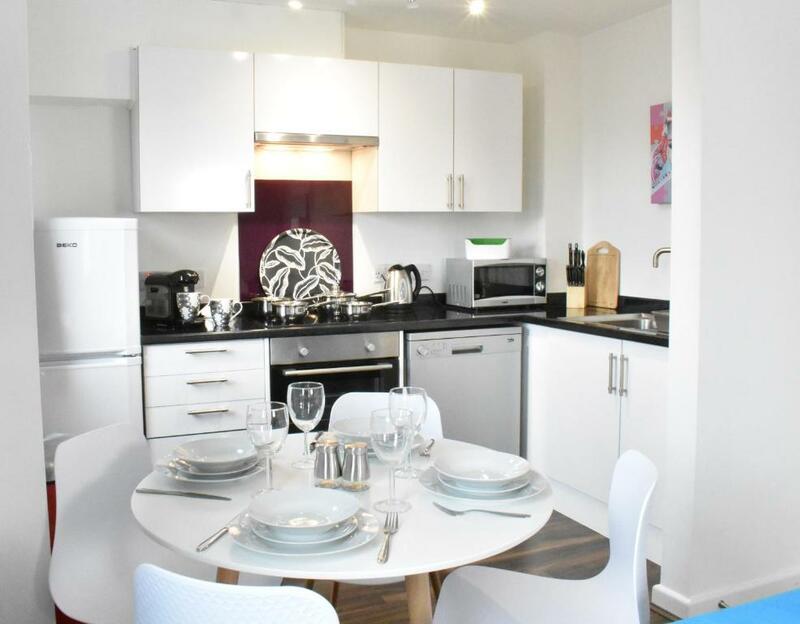 When would you like to stay at St Georges Apartments? This apartment has a kitchenware, tumble dryer and iPod dock. House rules St Georges Apartments takes special requests - add in the next step! St Georges Apartments accepts these cards and reserves the right to temporarily hold an amount prior to arrival. would have been better if it had private parking, we spent a few quid to keep the car there for 2 days. Everything is bad. Location is far from train station. Very difficult to park. Main door is electronically locked and almost impossible to open most of the time. Shower is not working properly. Really not worth the money. The shower’s are electric and not the best, only negative i would give them. It was on a very busy road and has very loud neighbours. The sofa covers were ill fitting and stained so it certainly isn’t like it looks in the photos. It has no parking on site. You have to walk to a public car park and while it is free overnight you have to get up early to buy a pay and display ticket if you want to leave it there after 8 am. In midwinter that’s no fun. We had to chip ice off the windscreen. If you have car I wouldn’t recommend it. Apartment had lots of space. It was also very warm with no restrictions on the heating. It’s cheap. Extremely clean. Central position. Very good utilities. We arrived after giving estimated time of arrival, the heating wasn’t on and it took a long time to get the flat warm. We couldn’t see any institutions in how to use the radiators— it wasn’t rocket science but it would had been nice to have flat warmed up before we arrived.